Kaplan Scientific Selected as the Benelux Sales Partner for TimeGate Instruments! TimeGate Instruments Oy of Oulu, Finland has selected Kaplan Scientific as its sales partner in the Netherlands and Belgium. 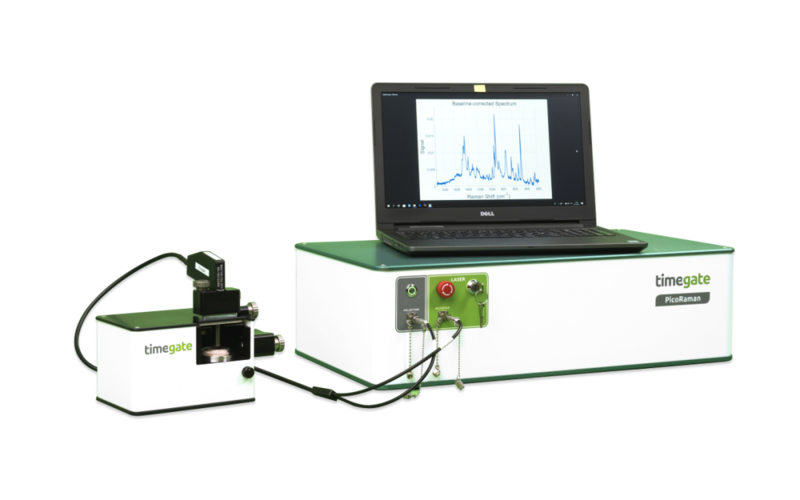 TimeGate Instruments manufactures the PicoRaman, a patented Raman instrument that specifically minimizes fluorescence emission which has been the biggest pain point for Raman analysis, which makes analysis of many materials impossible. Measure Raman faster than Fluorescence! For the past 30 years Raman spectroscopy has been widely used for numerous chemical research applications. Now, the new Timegated® Raman technology broadens the application range of Raman to biosciences, geosciences and many others where the fluorescence emission has hindered successful Raman analyses. The Achilles’ heel of conventional Raman technology is the photoluminescence (including fluorescence, phosphorescence etc.). Photoluminescence is a competing phenomenon with Raman scattering and it can overlap the whole Raman signal in the measured spectra making the identification or quantification of materials impossible. With new Timegated® technology, we can now achieve Real Fluorescence Rejection. The sub-nanosecond (100 ps) laser excitation source and time-gated single photon counting array detector creates a totally new type of spectrometer able to acquire Raman spectra with real fluorescence rejection. 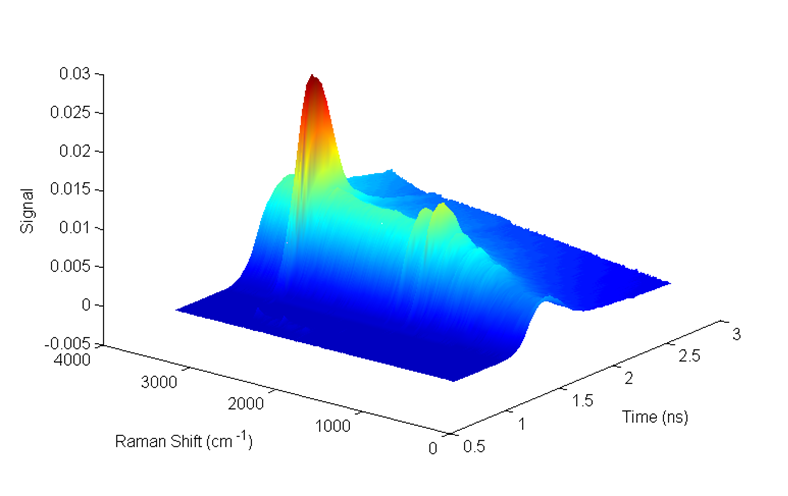 The system rejects the (delayed) fluorescence while capturing the instantaneous Raman scattering signal. It also enables the acquisition of time-resolved fluorescence spectra by sequentially sampling the emission pulses at different temporal positions. This approach simultaneously opens up two windows for material characterization and provides valuable new information in several different application fields. Apart from molecular structure information from Raman spectra, Timegated® technology can be used for time resolved fluorescence spectroscopic applications to monitor molecular interactions and motions that occur in the picosecond-nanosecond range. Broaden the possibilities of Raman spectroscopy in your line of research or production. PicoRaman is the first commercially available spectroscope using Timegated® technology for accurate analysis.